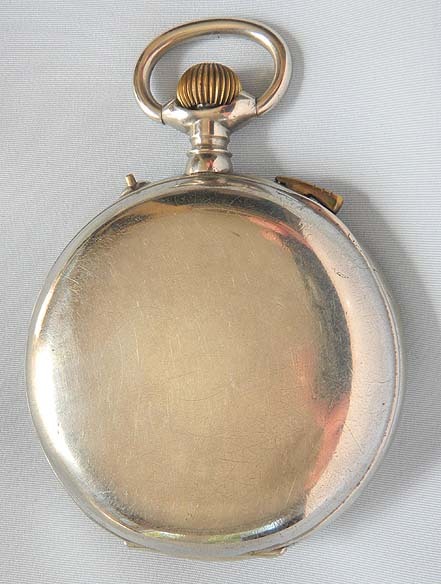 Good Swiss oversize nickel musical antique pocket watch circa 1880. 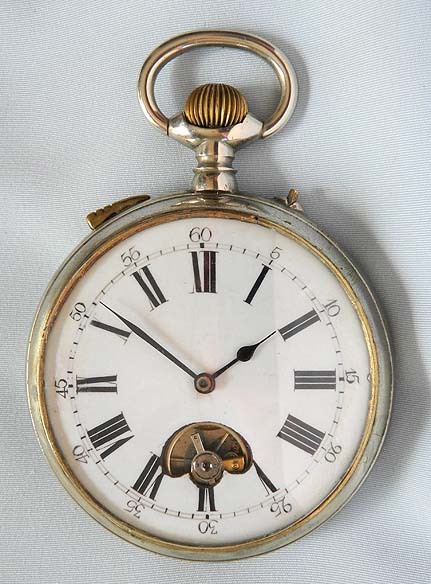 Fully restored white enamel dial with bold black markings, blued steel hands, and aperture exposing the ticking balance. 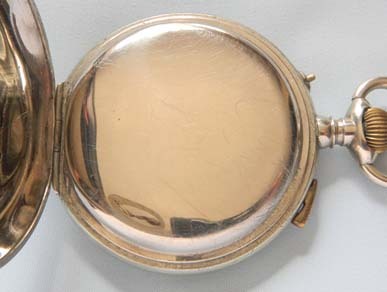 Plain polish case with slide to start the music at XI. Gilt Some scratches on the dust cover. 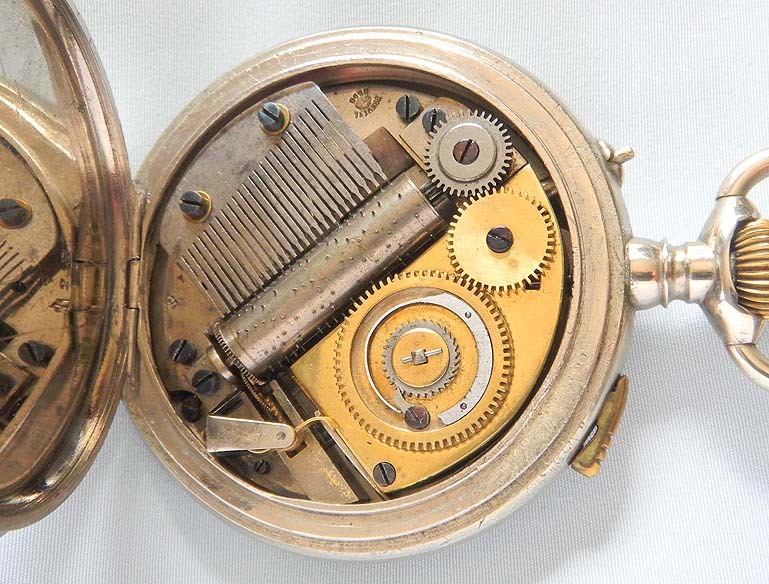 Gilt 10 jewel cylinder movement with roller musical mechanism. Loud and clear tune.